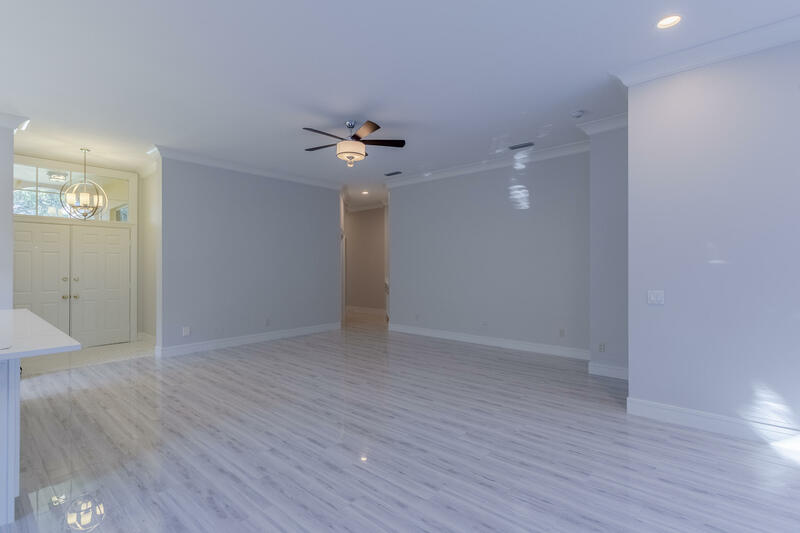 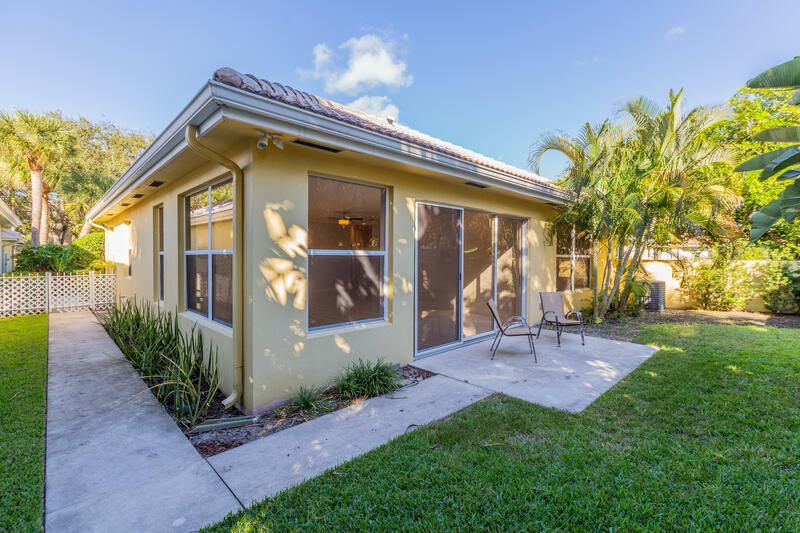 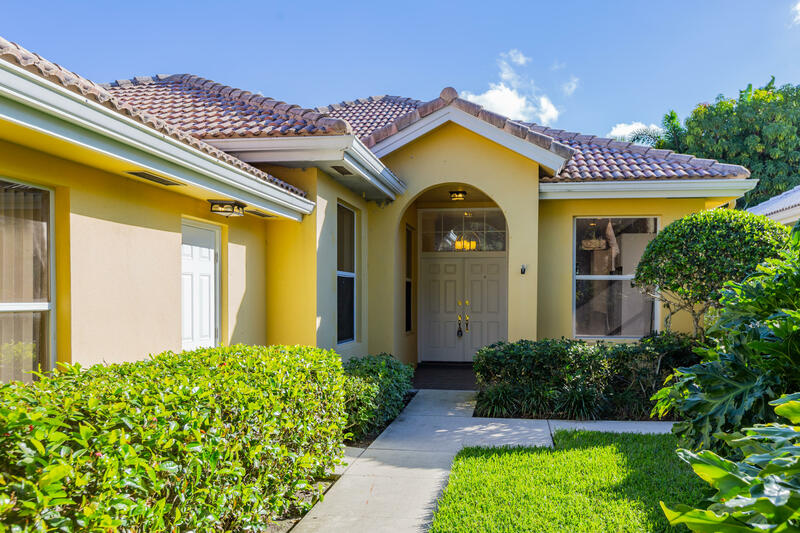 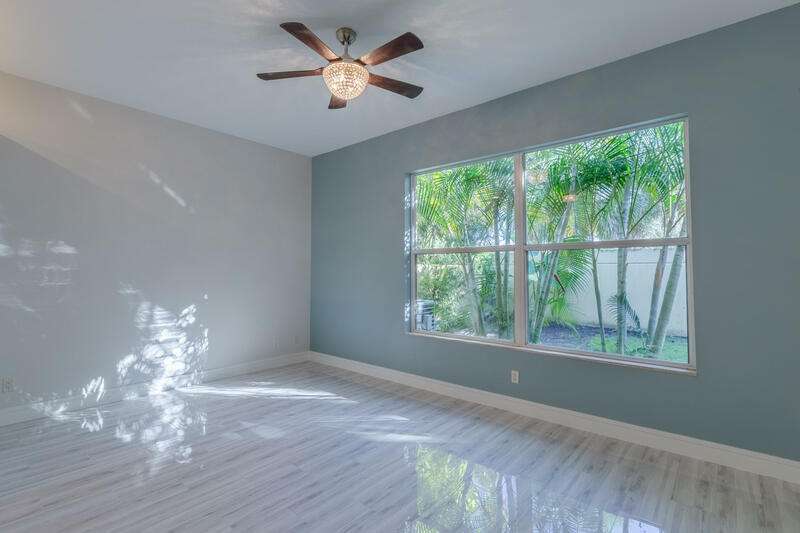 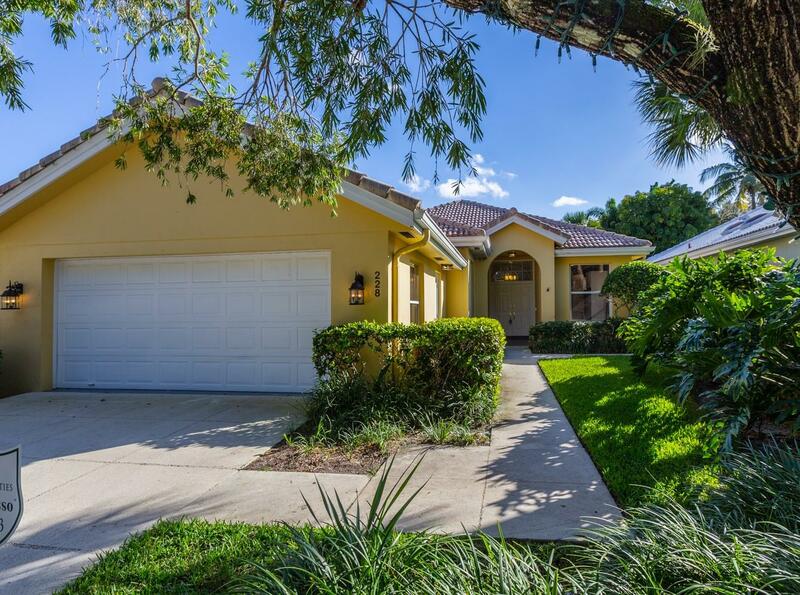 This built solid Divosta home features a split floor plan with 3 bedrooms, 2 baths, 2 car garage, 1,975 AC SF, located in the ideally located in the heart of Jupiter in the Hamptons! 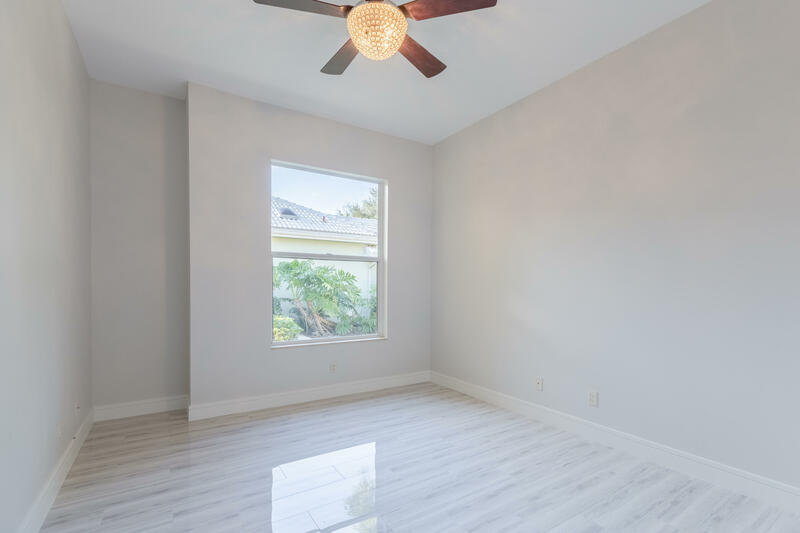 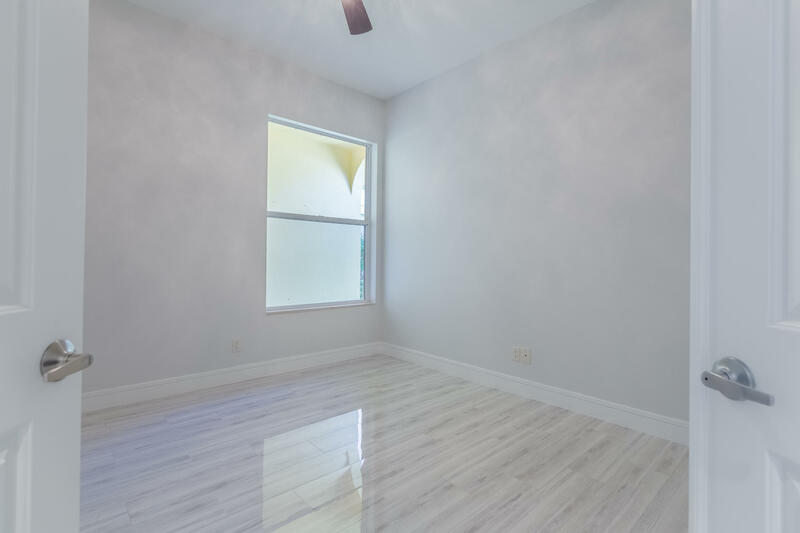 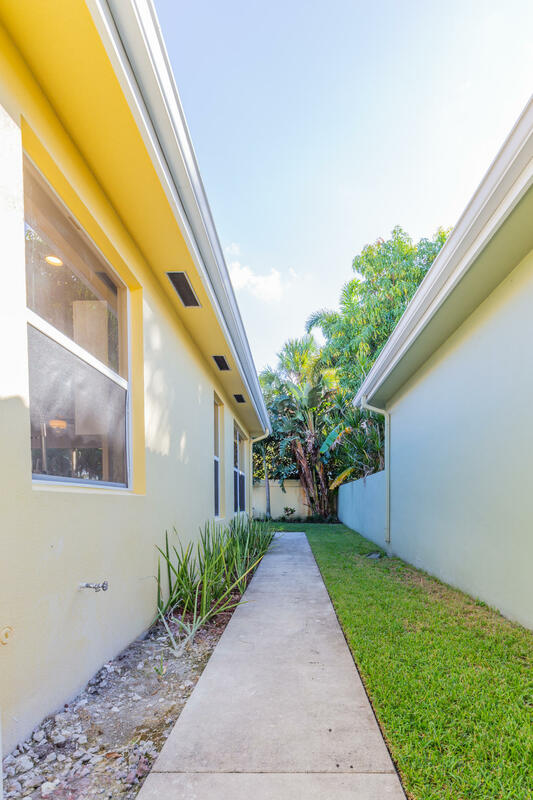 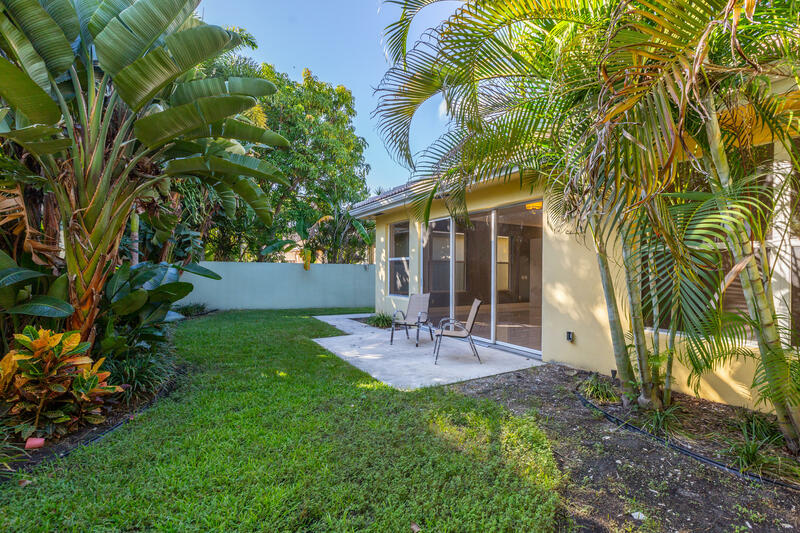 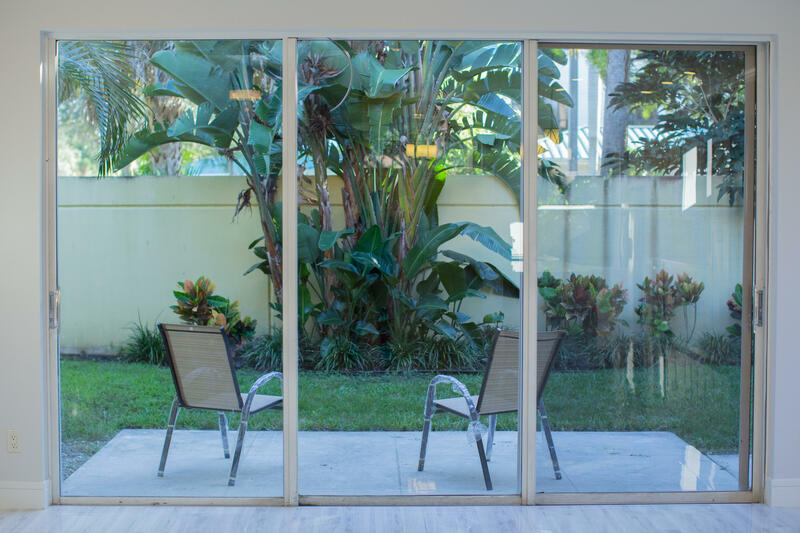 Fully renovated, you enter the house into the spacious living room and kitchen, with lots of natural light from sliding glass doors leading out to the yard. 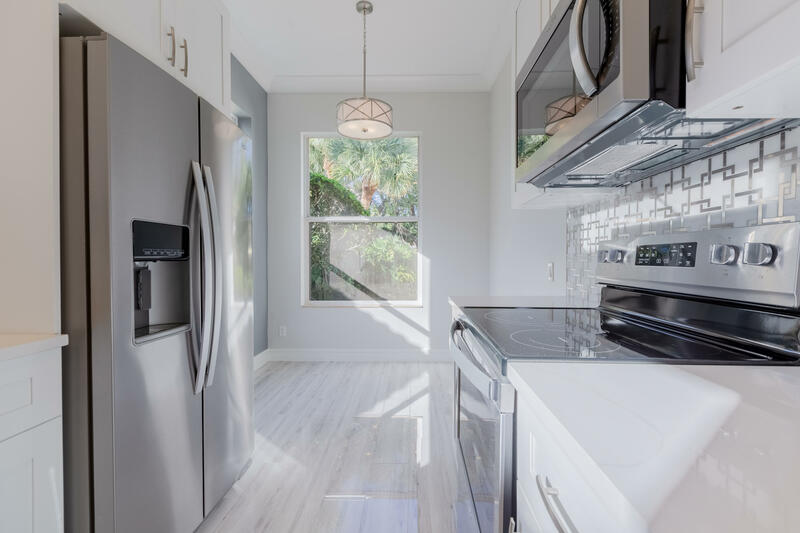 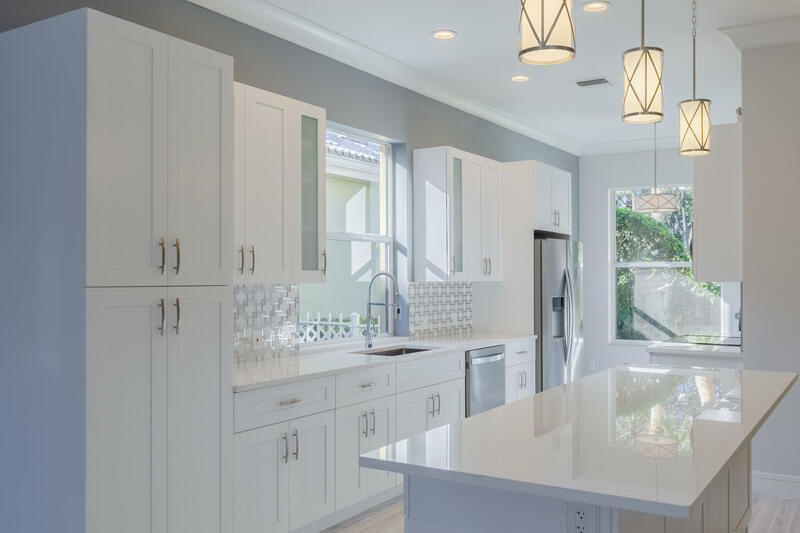 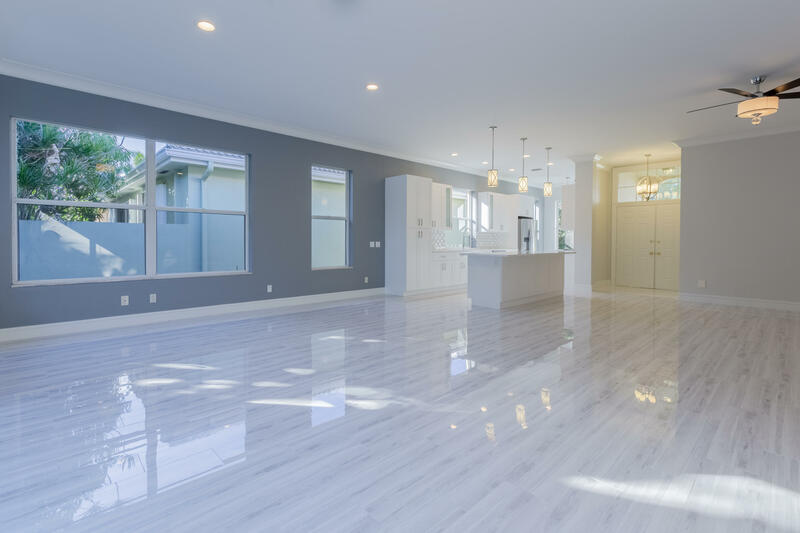 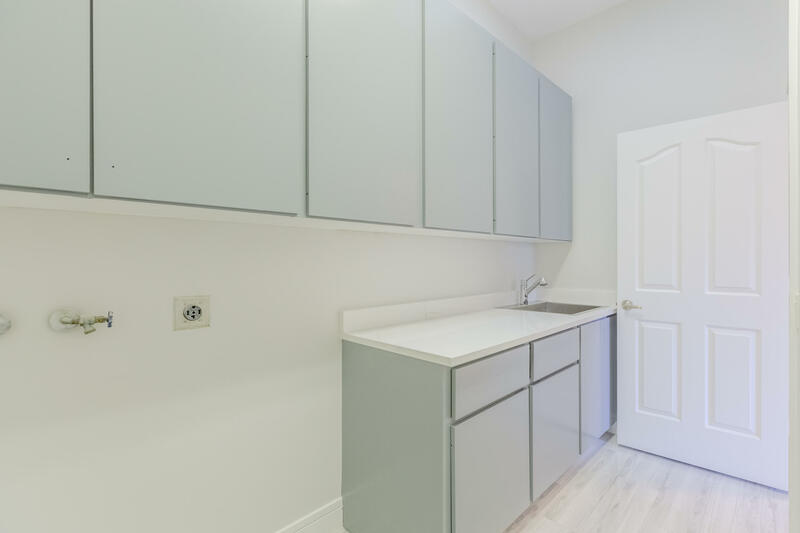 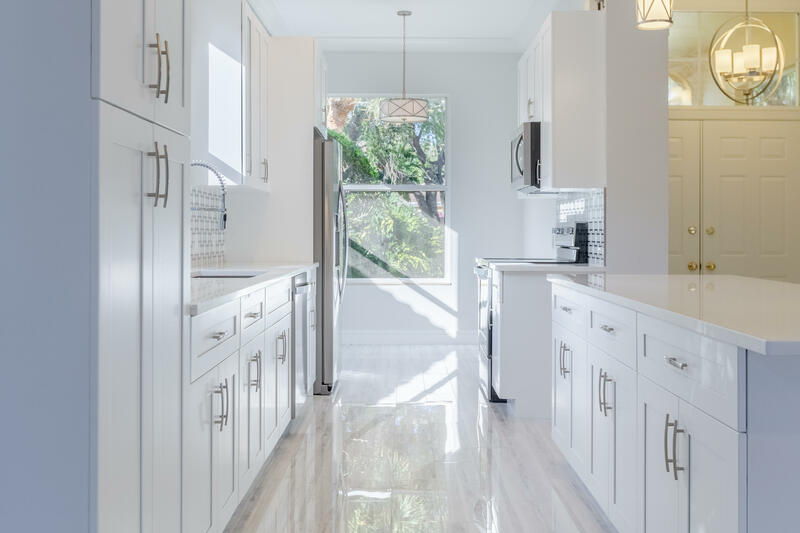 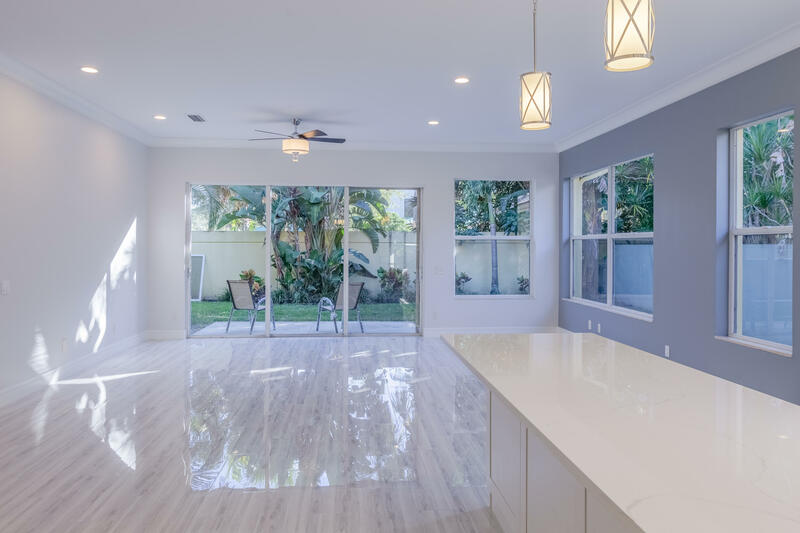 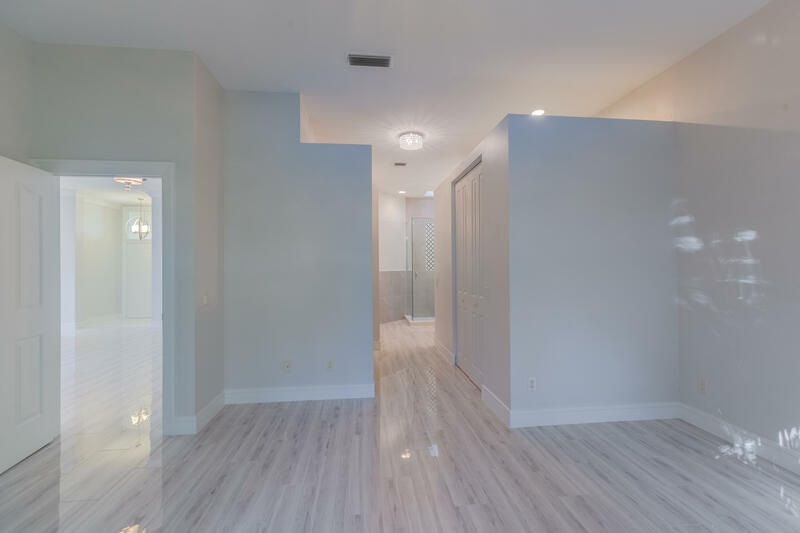 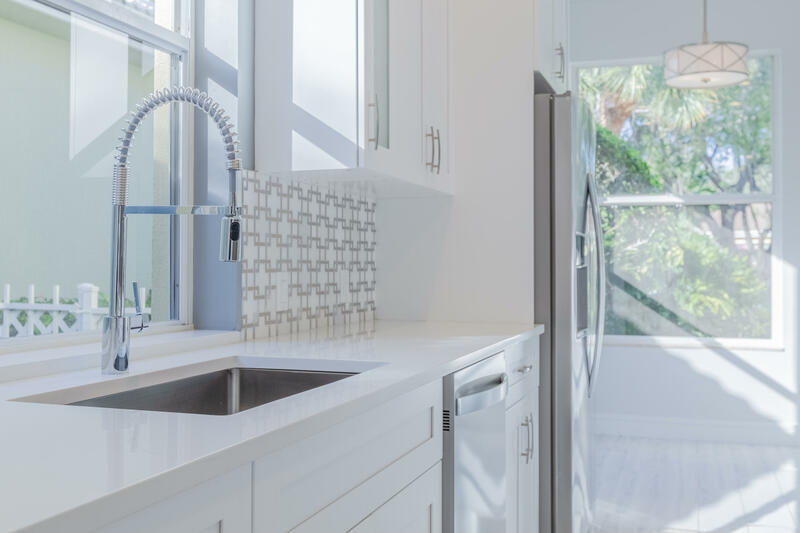 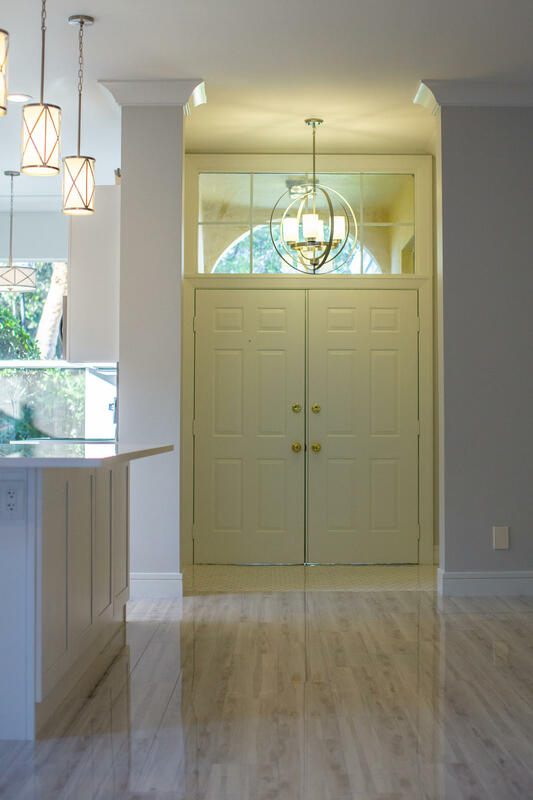 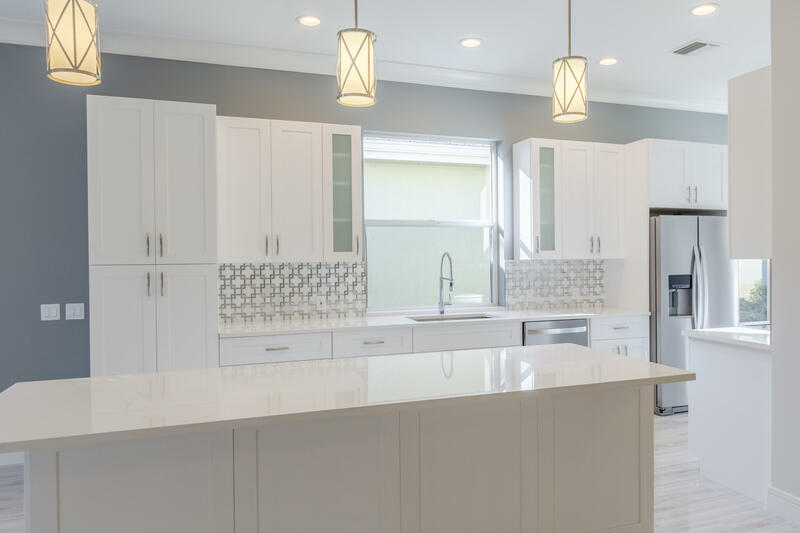 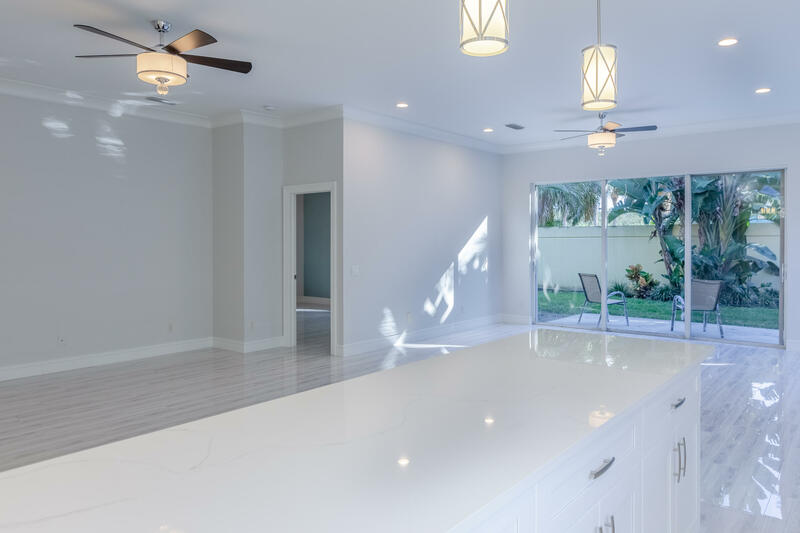 The open floor plan is complimented with upgrades including porcelain wood grain tile throughout, a large island kitchen with custom wood cabinetry, stainless steel appliances, quartz counter tops and custom back splash, which overlooks the family room and breakfast nook. 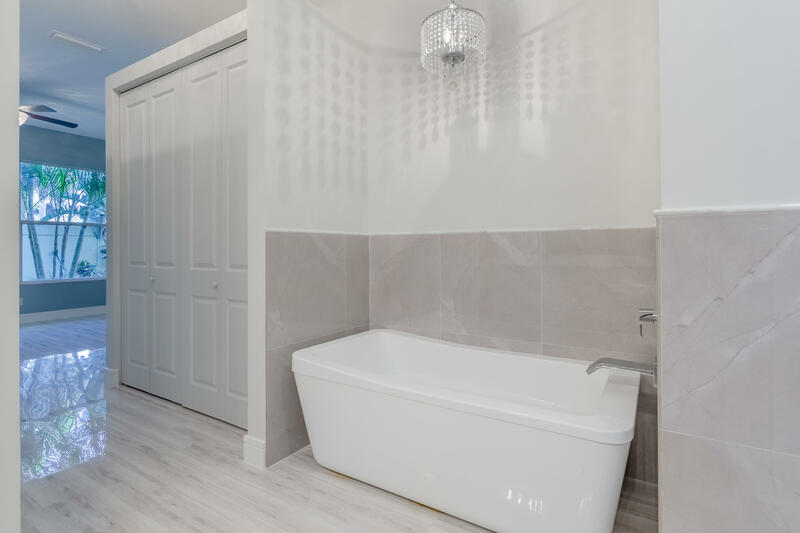 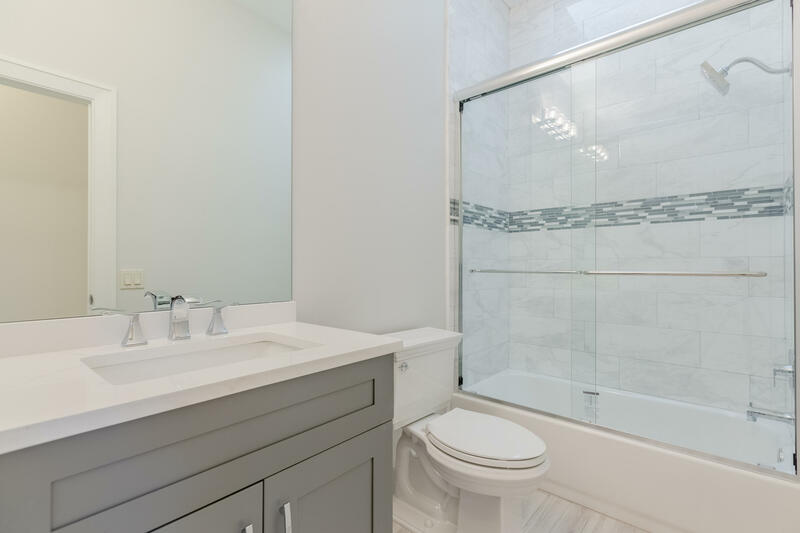 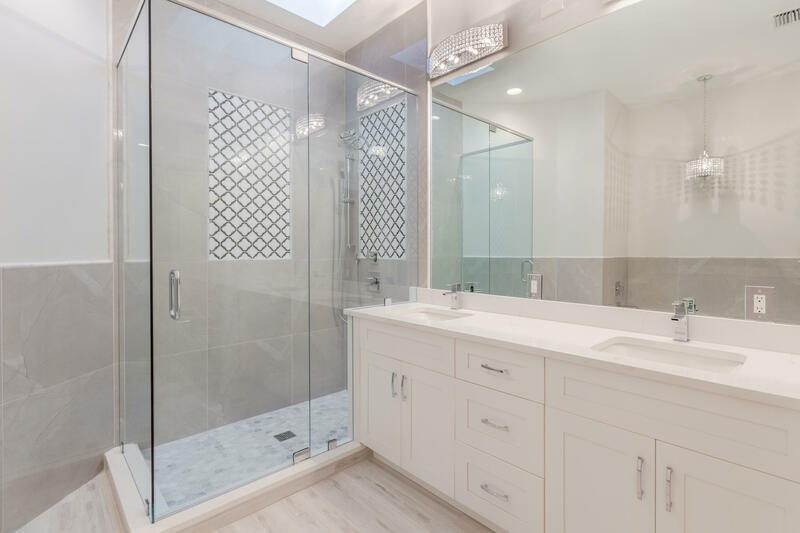 The master suite offers a spacious layout with walk-in his-&-her closets, a separate garden tub and frame-less shower, dual vanities and private water closet.